As with any city, there are several local disputes occurring in Eugene that you might not have heard about. Though they both remind me of some of the benefits of living here. The first dispute concerns EWEB supplying water to Veneta, a bedroom community of Eugene. Essentially some Veneta residents don’t want EWEB to begin supplying water, as it will encourage sprawling growth. I thought this dispute brought up one of the great aspects about living in Lane County. You can choose whether you want to live in an urban or country environment, without living hours from the nearest town. 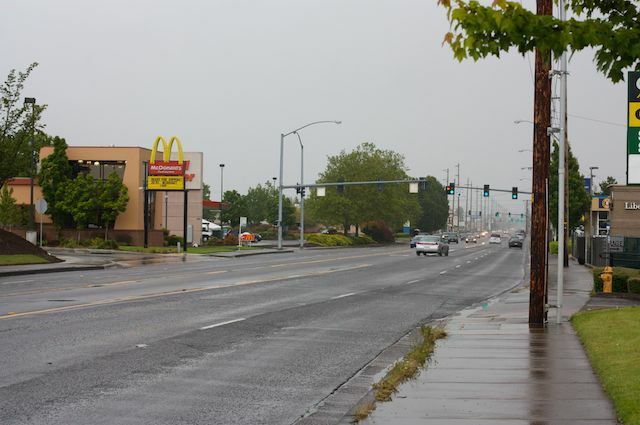 Eugene and Springfield both have various bedroom communities that exist just outside the city. No long drive into town, and no traffic or neighbors as well. The second issue concerns the expansion of west 11th, a major road through Eugene. There is a question whether west 11th should be made more friendly to foot traffic, or whether a proposed bus line should be included in a redone west 11th. This too, demonstrates another benefit of living in Eugene, its infrastructure is rapidly developing as the city does in order to meet its needs. No matter what you’re looking for, Lane County probably has it. This entry was posted in People and Business, Uncategorized and tagged eweb, Lane County, Veneta, West 11th. Bookmark the permalink.